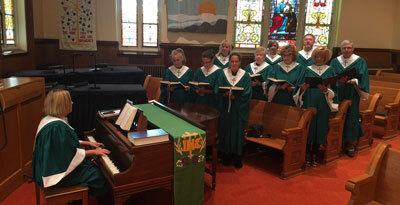 Lutheran worship focuses on two central themes: God’s Word and the Sacrament of Holy Communion. Our worship services integrate God’s Word each Sunday with the reading of the Scripture from the bible and through the pastor’s sermons. Holy Communion is celebrated the first and third Sunday of the month and on Holy holidays. All are welcome to participate. Children are welcome and are involved in our services with a children’s sermon. 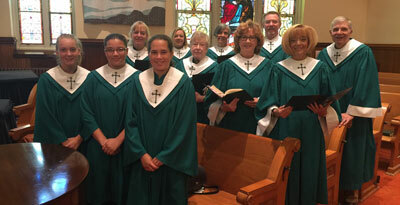 Zion Lehigh’s Choir sings an enjoyable variety of traditional and contemporary music. Our Organist and Director Betsy Lichtenwalner is an excellent teacher and fine musician. We welcome new members, so if you like to sing, please join us. We practice Wednesday nights at 7:00 at the church and sing weekly on Sunday mornings during our 10:00 a.m. service.